I have been quiet these last week or so due a hectic but fun filled birthday week. This week was a bog standard Monday due to weather and exhaustion but as a rule I do try and find a weekly activity for us to enjoy. Some recent places we have been and loved are below and a few things we want to do too which I may have mentioned before. They are all not just on a Monday but it might give you a few ideas to fill the weekend with fun family things to do! Generally on a Monday, I like to head off with him about 9.30/10 incorporate some chores with an activity and then he will crash out for his daily nap en route home which will give me time for a cuppa and to get the dinner on which leaves me free for some jigsaw making/painting etc in the afternoon. A day well spent with the boy wonder! Trojan Gym-this gym turns into soft play every Monday, Tuesday and Wednesday from 9.30-12. It’s 5 euro per child and they serve tea/coffee and fresh fruit from 10.30. Giddy studios-we love this place and from 5 euros for a tile you can have lots of fun. We hope to create something for Christmas in the coming weeks. 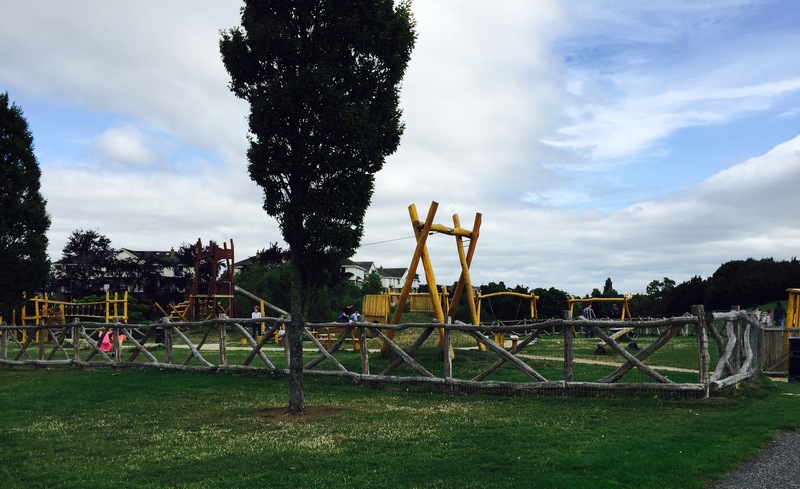 Milltown playground-I spotted this playground on the Luas and not its a favourite spot and with the lovely Thru the Green nearby for a hot beverage and a treat it’s a perfect Sunday spot! National Gallery Workshops-we love to go to these when we can and hope to sign up to a seasonal one before the year is out! There are events in both the national gallery and the maritime museum for Christmas and we have already booked into one through eventbrite. DLR Lexicon-another great spot. They always have lots of kids activities on and a pier walk and ice cream as a treat afterwards on a nice day is a lovely thing to do! Visit to Hamleys-sounds like a strange one but if I have to nip to Dundrum this is Josh’s ‘treat’. He is happy just to look at the toys for now and guides me towards a Santa list too so it’s a double bonus. Play cafes/groups-some play cafes we really like are meerkats, fraggles, Merrion play group on a Tuesday/Wednesday 10.30-12pm and Starbucks kids events on a Tuesday 11-1pm if I happen to be off and have to run a few errands this is a handy thing to do! This scary world we live in..